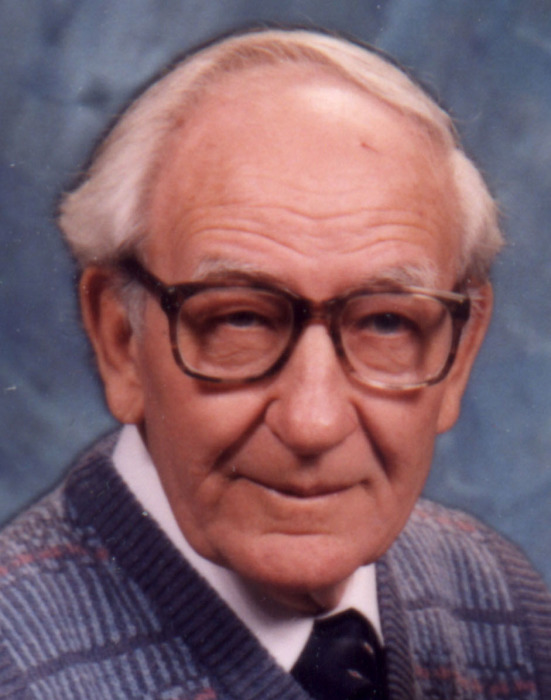 Mr. John William Benner, 98, of Fountain City, passed away peacefully on Saturday morning, November 24. He was born on November 6, 1920 in Richmond, Indiana to Russell and Mabel Alexander Benner. He attended Richmond High School. 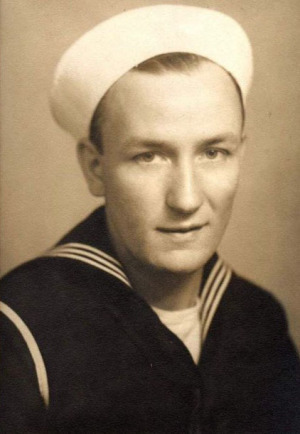 Mr. Benner served in the US Navy Seabees from June 23, 1943 to November 12, 1945. He was stationed on the island of Attu in the Aleutian Islands for, as he liked to say, “one year, eight months and seven days”. He was originally an equipment operator but he found a Japanese sewing machine which he converted to AC power, doing uniform tailoring in his spare time. As a result, he received one of the first ratings as a Ships Service Man Tailor, Third Class Patty Officer, or SSMT3c(T). Mr. Benner was united in marriage to the former Betty Janice Newman on June 8, 1945. Their marriage of over 72 years was blessed with two daughters and their extended family before her passing on March 6, 2018. Mr. Benner lived in the Fountain City area most of his life. He worked with his father and brother in Russell Benner and Sons Plumbing on Richmond Avenue. He also built houses in Lynn, including two he remodeled for his own family as well as building one for his family and four houses for others. In 1955, he moved onto a 140-acre farm on Arba Pike, where he operated a dairy farm while still working in Richmond every day. After his father passed away, he started his own plumbing business in the Fountain City area. Mr. Benner enjoyed woodworking and family members and friends were the recipients of many projects, especially his wooden toys. He collected candle holders, especially Heisey glass ones. He loved RVing with Betty and their many years wintering in Florida, where they made many wonderful friends. But mostly, he loved spending time with his family, especially the Christmases they spent together in Florida and the other family RVing vacations. Mr. Benner will be missed by his daughters & sons-in-law, Saundra & Marvin Jackson and Janice & Bob McGuire; Joan & Keith Warner; granddaughters, Jennifer & Dan Capps, Krista & Greg Hayes and Amanda & Caleb Alexander; great-grandchildren, John Bedel, Matt & Amanda Bedel, Kalee Hayes, Camryn Alexander and Coleman Alexander; special brother-in-law, Jan Vogelsong; and many other grand, great-grand and great-great-grandchildren in California and Michigan nieces & nephews. Mr. Benner was preceded in death by his parents, wife, sister, Mildred Bietry; brother, Charles Benner and special sister-in-law, Sue Vogelsong. A funeral ceremony will be held at 11:00 a.m. on Friday, November 30 in Smith-McQuiston & Webster Funeral Home, 321 US 27 South, Fountain City. Interment with military rites will follow in Willow Grove Cemetery. Family and friends may gather for visitation from 5-7 p.m. on Thursday, November 29, at the funeral home. The family wishes to thank the staff of Brookdale Senior Community where he and Betty resided for five years and the staff of Premier Hospice for his care. Memorial contributions are encouraged for the Levi Coffin House Association, PO Box 77, Fountain City, IN 47341-0077 or the Wayne County Veterans Memorial Park, P.O. Box 2401, Richmond, Indiana 47375.